To reward students who strive to do good, gold “Caught Doing Something Good!” cards are awarded. Students who display the Circle of Courage virtues can also receive gold cards for showing belonging, generosity, independence and mastery. Each week the names of gold card recipients are gathered. Fifteen student names and one staff name are drawn for prizes and announced over the loud speaker to the entire school. Prizes can be anything from gum, to toys like Hot Wheels and Beanie Babies. 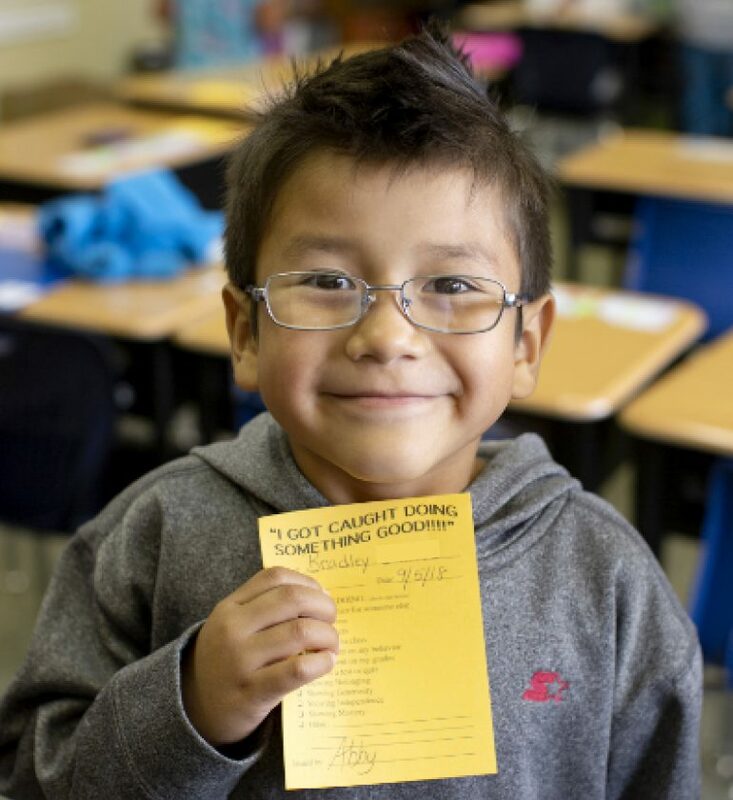 Although the opportunity at a prize is motivation to do nice things, students take pride in getting gold cards even when their name is not drawn for a prize. We’re proud to say that last year 332 gold cards were turned in! That’s a lot of good going around St. Joseph’s Indian School! Pilamaya – thank you – to our generous supporters who make programs like this possible at St. Joseph’s Indian School. Isn’t it! It’s so fun watching the kids get excited about doing good things. “Train up a child in the way he should go, and when he is old he will not depart from it”….Good work. “brick by brick…stone by stone”…Thank you.